Deka Solar Batteries from East Penn are engineered and tested to provide reliable, long-lasting back-up power for commercial Photovoltaic (PV) and renewable energy applications where frequent deep cycles are required and minimum maintenance is desirable. 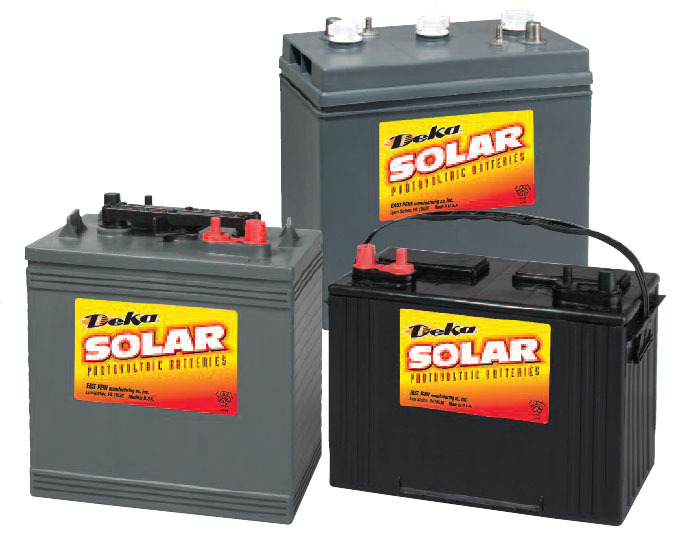 Deka Solar Flooded Monobloc batteries are designed to offer reliable, low-maintenance power for renewable energy applications where frequent deep cycles are required and minimum maintenance is desirable.The Deka Solar Flooded Monobloc series include 3 cell (6 volt) and 6 cell (12 volt) batteries. 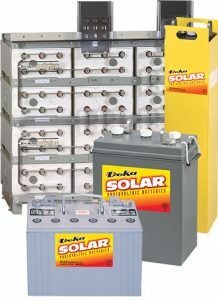 The Deka Solar Valve Regulated Gel Monobloc series offers reliable, versatile, maintenance-free power. The thixotropic gel enables these batteries to be completely spill-proof providing many available options for installation. The gelled electrolyte gives more protection to the battery plates, and is better suited for deep cycle discharge. 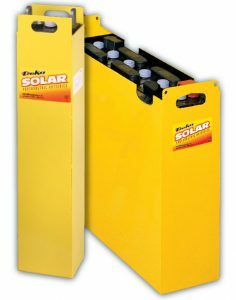 With longer discharge and less charging time, these batteries are ideal for many renewable energy applications. Specific Gravity (fully charged) – 1.250 @ 25°C (77°F). 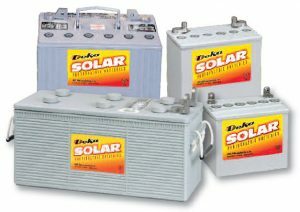 The Deka Solar Dominator® Valve-Regulated Gel electrolyte battery is designed to offer reliable, maintenance-free power. It is available as a single cell or system. 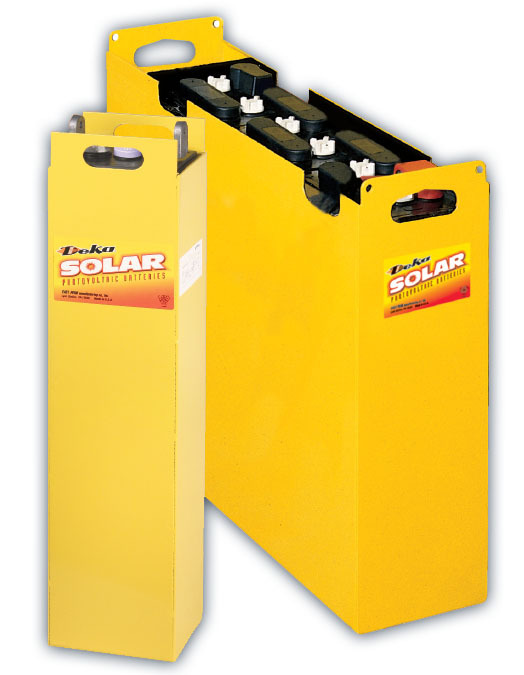 The gelled electrolyte protects the battery plates making it ideal for renewable energy deep cycle applications. 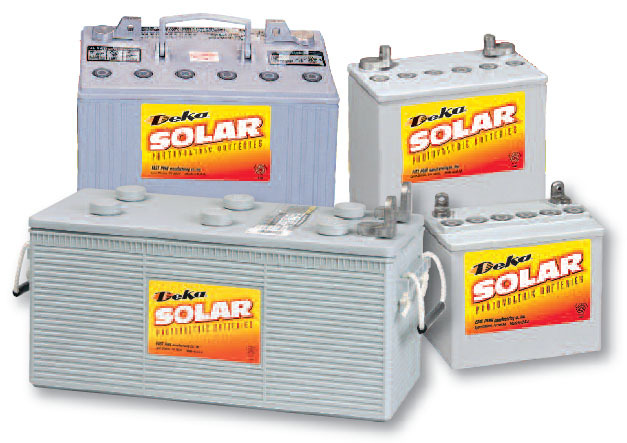 The Deka Unigy® II line, available in single cell or system designs, includes a wide range of capacities and sizes to fit the requirements of renewable energy applications. The Deka Unigy® II Standard Design allows modules to be stacked horizontally and connected by only four bolts (two in front – two in back), for quick and safe battery installation. The cell terminals are solid copper with lead plating, and are designed for maximum conductivity. The Deka Unigy® II Interlock™ System utilizes interlocking modules to maximize convenience with front access bolting. This system delivers more power in less space while maintaining cooling requirements. Advanced features provide easy and safe installation such as “two way” post, and easy on/off front shields. Equipped with a standard one-piece Interlock™ base, the system meets Zone 4 seismic specifications and is certified up to 8 modules high. Case and Cover – Molded high impact flame retardant polypropylene, UL 94 V-0, 28% L.O.I.